The funny thing is, growing up, I use to love writing poetry. My family and friends would always request a poem for special occasions. Nevertheless, writing was not my thing. So, you may be wondering how I manage to become an Amazon Best Selling Author, not once, not twice, but currently three times, if I am not a writer. Well, I may not like to write but like you, I have a story and I had the courage to tell it. I am not necessarily “the best” writer, I am however “an available” writer. It’s amazing what God can do when we make ourselves available. You have a story and it’s time you make yourself available and find the courage to tell it. Besides, it’s time you live your best life ever and the world needs to hear your story. Stop saying you are waiting on God, God is waiting on you! Contact me today and let’s talk about your sharing your story for God’s glory. Now is the time. Someone will find hope and healing as a result of your courage to write your story. Remember, courage is being afraid but doing it anyway. Here are a few of my books. I currently have contributed to over 1o books including sharing the spotlight with Les Brown, Dottie Walters, and Nido Qubein. 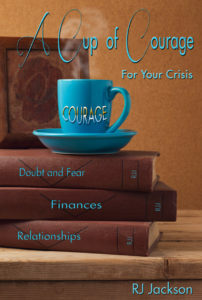 A Cup of Courage strengthens you as you deal with some oflife’s most challenging situations and Struggles. 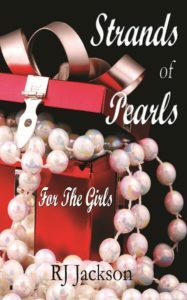 RJ compliments her provoking thoughts with Scripture, inspirational examples and motivational quotes. As you read A Cup of Courage for Your Crisis, you’ll be reminded that God has not forgotten you and His plans for you are for a future and a hope. 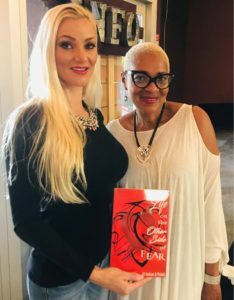 What could be more courageous than admitting that there is more to life than you’ve been living and then sitting down with 15 courageous women, women who understand what it takes to live life on the other side of fear? 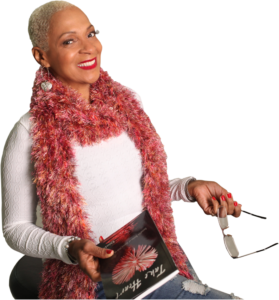 These insightful women share content rich life lessons of personal, professional, and spiritual development in a one on one inspirational interview. 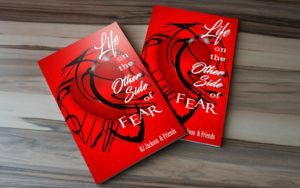 Pull up a chair, grab a pen, and feel free to write in the book as these dynamic women leave a mark of courage and confidence on your heart. Today, in a world of conforming, copying, imitation, and indulgence, many are striving to be who they are not. It is difficult to find anything authentic anymore. People and food included. GMO has taken over the food industry. Harvest time has been replaced with a microwave attitude that demands immediate results. Great results, however, take time. If you have purchased apples lately, you may not have noticed that they can sit on the shelf much longer without becoming rotten. That may seem like a progressive step. However, although they may last longer, the question we must consider is how many nutrients do they provide? Does an apple still maintain its value if it has not been fully harvested? The same thing holds true for you and me when we take shortcuts in life. We live like GMO apples. Perhaps, they look like regular apples to some and they even taste like the apples they have always eaten. What is the difference? The difference is authenticity–100% percent pure apple. Nothing is more delicious and healthier for you than an organic homegrown apple that is harvested. 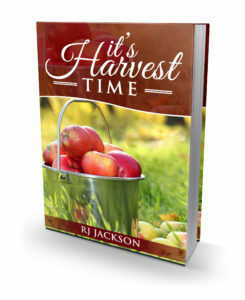 It’s Harvest Time encourages you to live a life with a pail full of purpose, authenticity, intention, and legacy. It is a quick, enjoyable read that reminds you to let your core essences of greatness leave a lasting impression on the world. We live in a fast pace, why wait, world. We’ve been conditioned to move and move quickly. We want what we want, and we want it now! On one hand we are told to hurry up because if we are too slow we will get run over. While on the other hand, we are told to wait on God. These indecisive directions are part of everyone’s journey. If we’re not careful, we will get stuck in fast lane colliding with the disappointments of life. 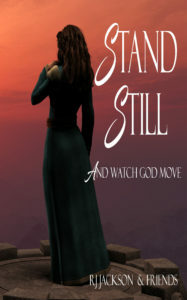 “Stand Still and Watch God Work” is a soft whisper reminding us to get dressed in faith and courage; and even in our worst times, to be unmovable, keep an upright attitude, and expect God’s promises to unfold and bring light to our darkest moments as we wait on Him. Work, debt, fear, relationships, and your health; when you want to give up, and you need courage to continue, “Take Heart!” We have all felt overwhelmed, discouraged, and even a little hopeless at one time or another. Take Heart is more than an affirmation that you are not alone. It is declaration of God’s faithfulness. Open the book and be encouraged to Take Heart. 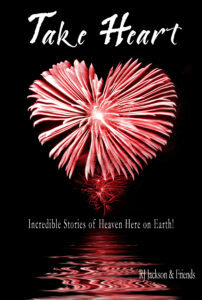 Open your heart and experience a taste of heaven here on earth! 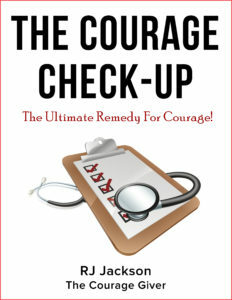 The Courage Check-Up is as important as a physical check-up. Just has a regular health check can identify problems, chart progress, and outline action steps to maintain a healthy heart, The Courage Check-Up provides motivation for change, increase your faith, and improve the quality of life. Think of The Courage Check-Up as you would an annual physical with a health professional: a check-up to improve your circumstances and prevent potential problems. The Courage Check-Up investigates the heart of an individual for abnormal conditions that blocks potential and possibility.